Check out Tobi's This One Time One Shoulder Sweater Here's a unique one shoulder sweater that'll have you standing out this winter. 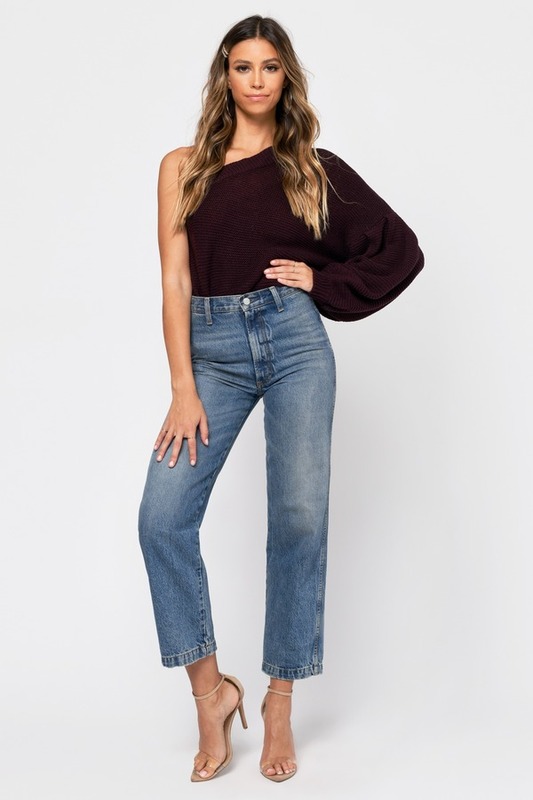 You gotta get the This One Time One Shoulder Wine Sweater, featuring one balloon sleeve and a slouchy fit all on a beautifully knit fabrication. Pair this cool and cozy winter sweater with a faux leather skirt and thigh high boots! Here's a unique one shoulder sweater that'll have you standing out this winter. 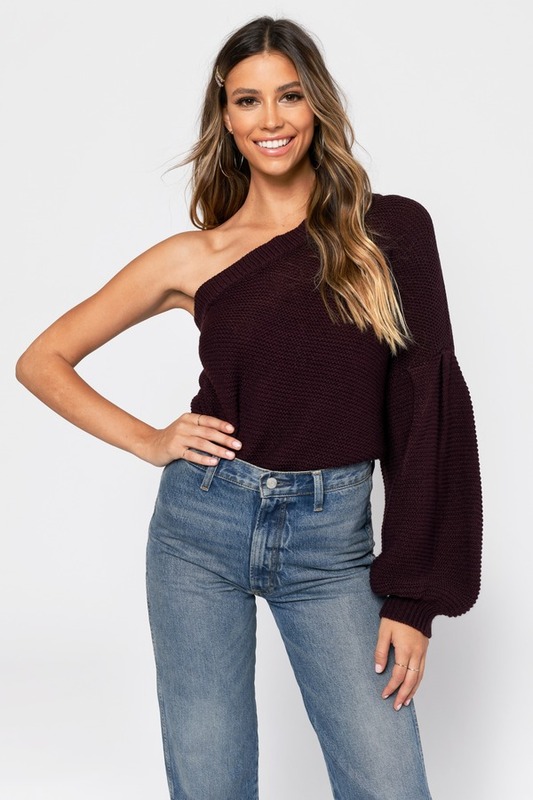 You gotta get the This One Time One Shoulder Wine Sweater, featuring one balloon sleeve and a slouchy fit all on a beautifully knit fabrication. Pair this cool and cozy winter sweater with a faux leather skirt and thigh high boots!